This week was a new-cell-phone-announcement triple-play! Following DoCoMo on Tuesday and Vodafone yesterday, KDDI’s au brand held a press conference this afteroon at the super-swank New Otani hotel to unveil an impressive spring line-up. 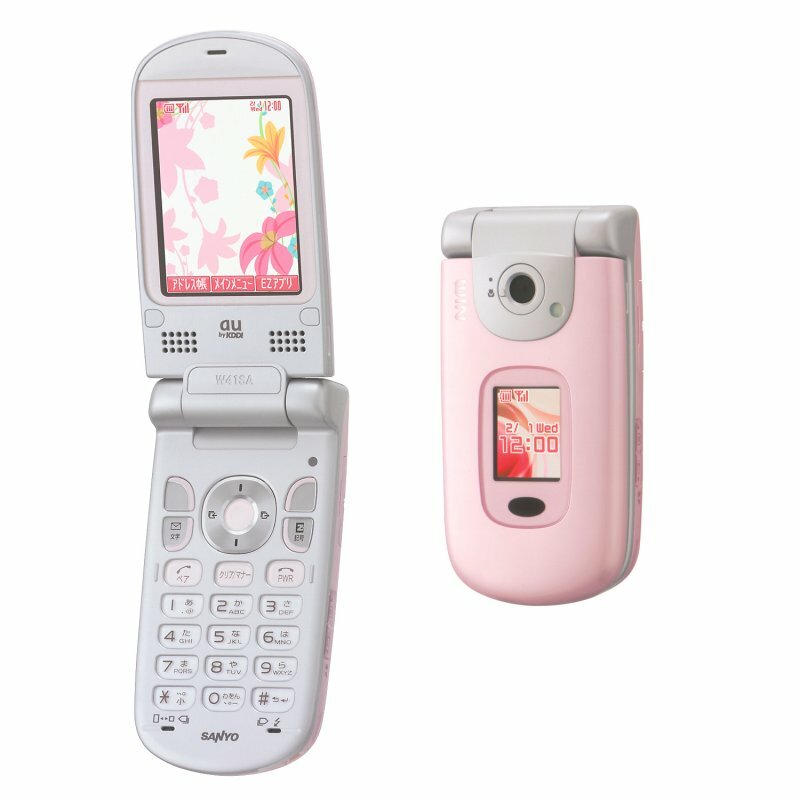 From L. to R. (below): Toshiba’s W41T with Japan’s first built-in 4GB HDD, the slick-styled Neon, is the latest addition to the in-house Design Project; Hitachi’s W41H ‘One-Seg’ digital TV phone; Casio’s W41CA, featuring a FeliCa mobile wallet; Kyocera’s W41K is a ‘Full Function’ camera phone with a 3.2-megapixel cam; SonyEricsson’s W41S is also FeliCa IC-enabled; and finally the Sanyo W41SA, which has an interesting handwritten character scanning application. The new fleet will hit store shelves starting in February along with the introduction of an enhanced Listen Mobile Service. Toshiba’s W41T is the first in Japan to have a built-in HDD and includes Kaga Electronics’ Bluetooth (with wireless headset) for music and voice functions and touts a 3.2-megapixel camera. 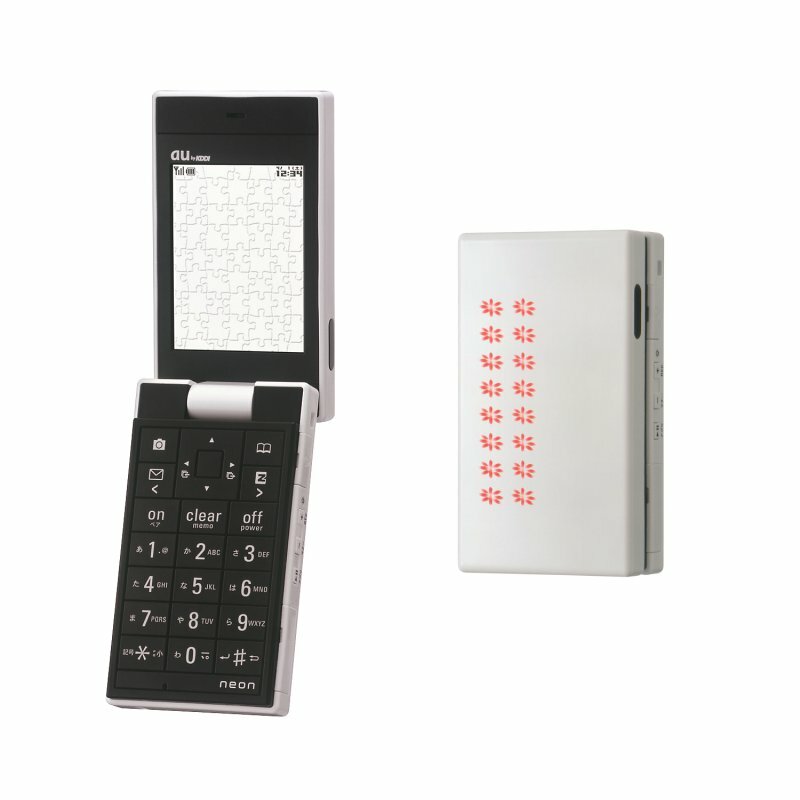 The futuristic Neon, designed by Naoto Fukasawa (famous for KDDI’s popular InfoBar model), uses LEDs on the exterior shell for notifications such as current time and incoming messages/calls. 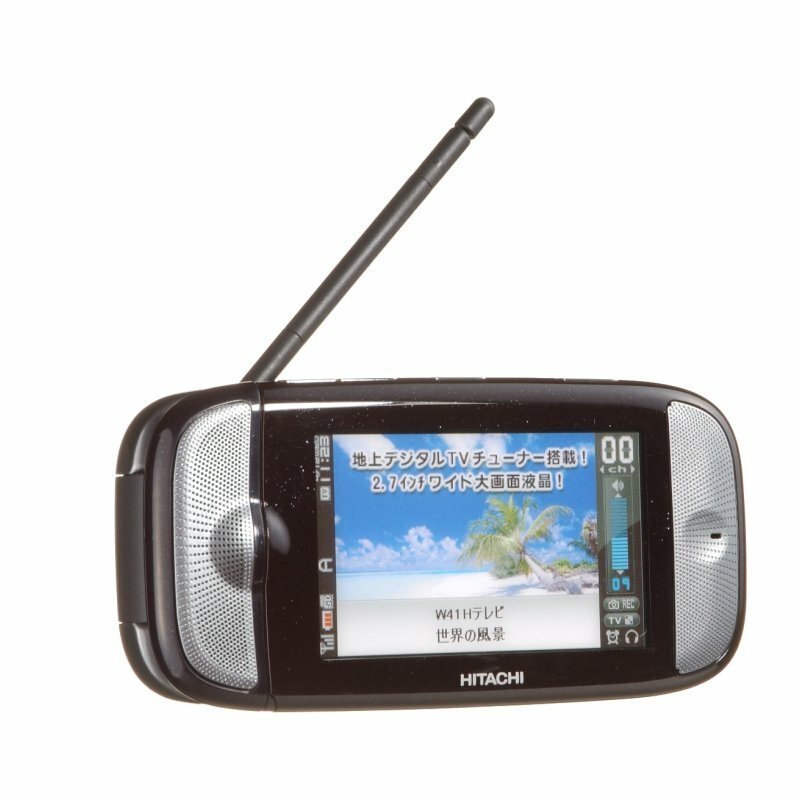 Hitachi’s W41H TV model claims 3 hours-plus of viewing time on the 2.7-in QVGA screen and has FeliCa. 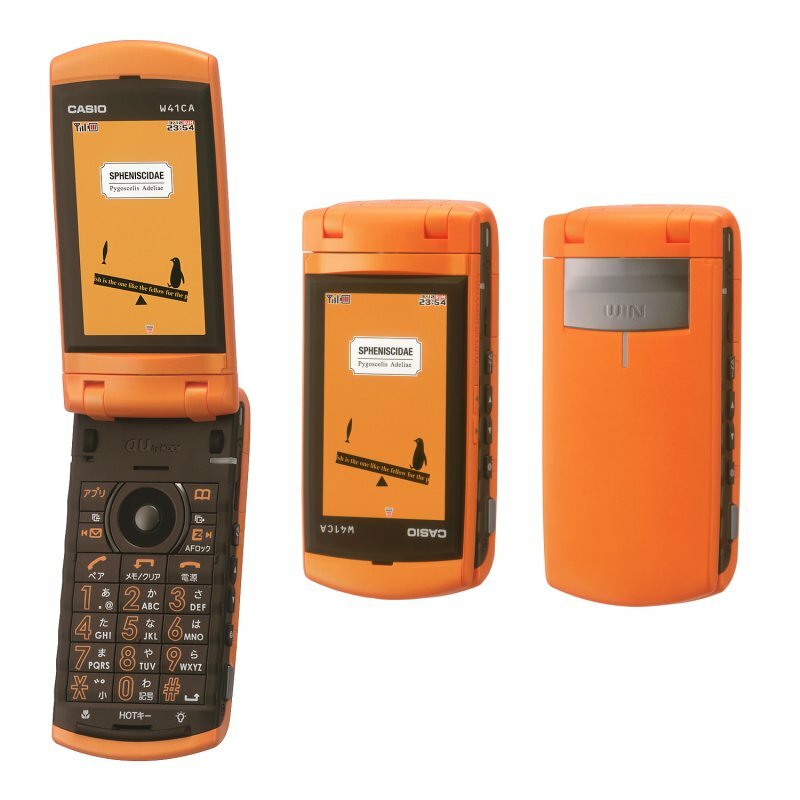 Casio’s 22-mm ultra-slim-body W41CA also packs the IC m-commerce function onboard along with enhanced USB-to-PC connectivity and document-reading abilities. 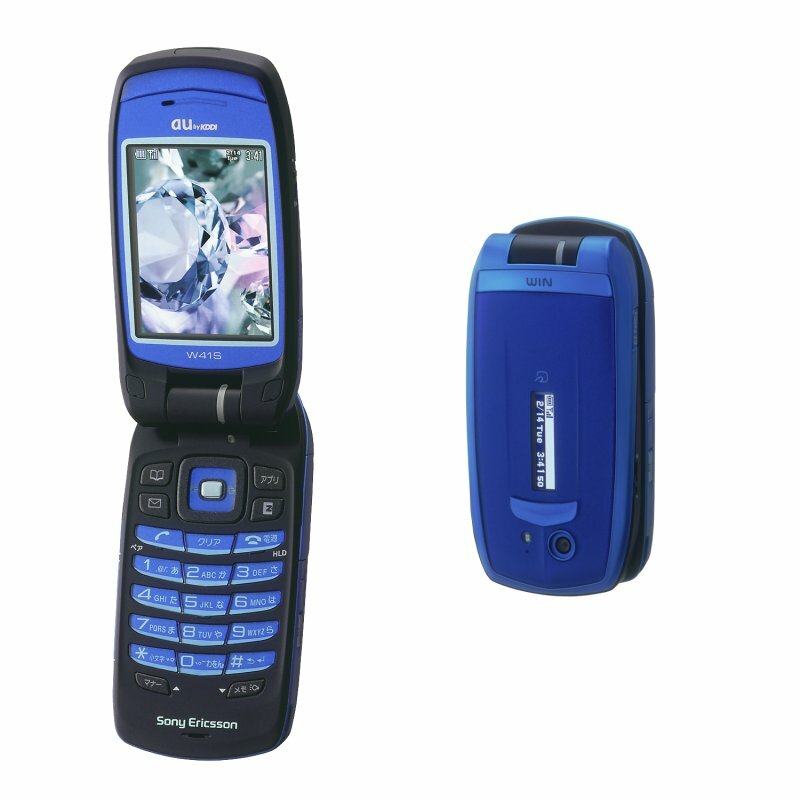 The Kyocera W41K seems to have positioned itself as the ultimate camera phone unit and includes a PhotoShop Mini 3.0 CDROM, a blurring compensation function and enhanced onboard editing of pictures taken with the 3.2-megapixel camera. 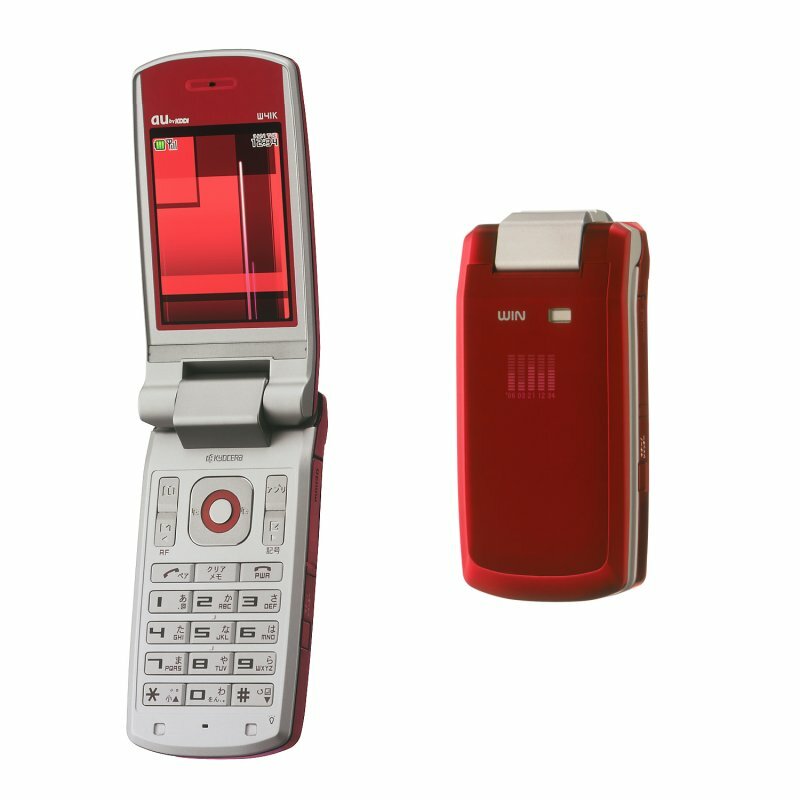 SonyEricsson’s W41S has an extensive Flash-Lite-driven “matrix-menu” system, which includes a dedicated support site to download new designs to “… match with your style or occasion.” The W41SA by Sanyo can also be set-up to act as a TV remote control and has a dual-mode AAC codec microphone capable of recording up to 12 hours of marathon meetings or press conferences! Spring is the peak of the handset replacement cycle in Japan — with the April 1st new financial and university academic year starting — and the Big Three major carriers have announced a whopping 16 new handsets in the last 72 hours! 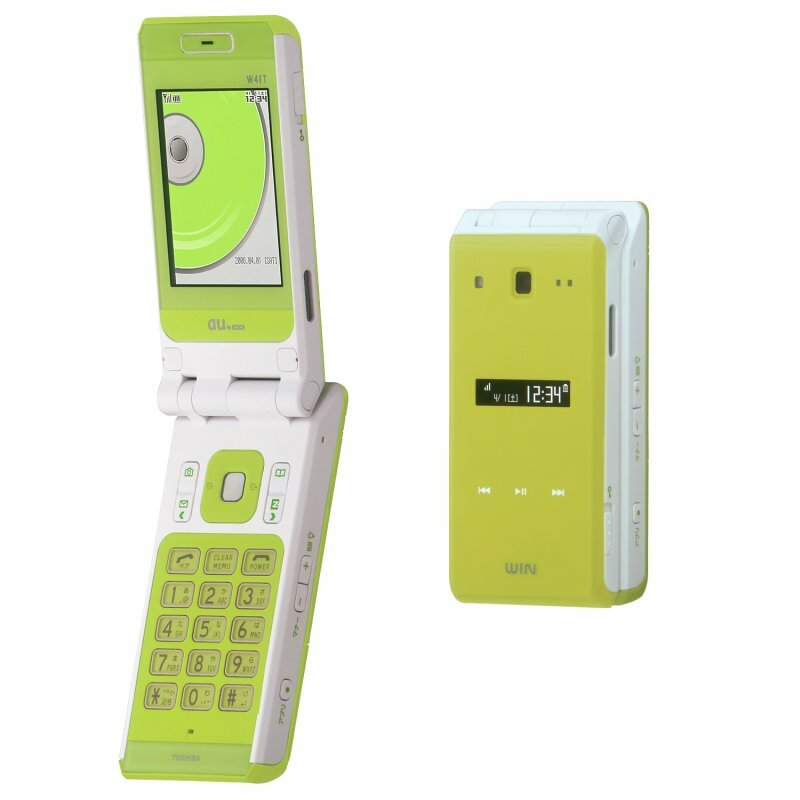 Keeping up with expectations, it would seem by far the most impressive line-up of hardware announced this week comes from the KDDI camp with their built-in 4GB HDD model, the digital broadcast TV handset and three new FeliCa IC units ready to roll starting next month. It should be very interesting to see how the market responds to these new choices in design, function and services.